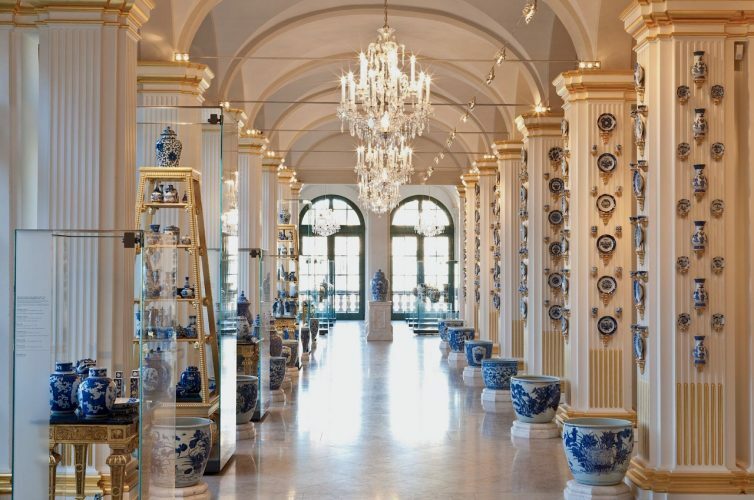 On Saturday 11 February we will celebrate the New Year with a reception and an interesting lecture by Christiaan Jörg, who will tell us about ‘Porcelain in Dresden’. We hope to raise the glass with you. Most porcelain collectors know the term “Johanneum mark”. This refers to an incised number on the base of Chinese or Japanese porcelain and denotes that the piece once was in the collection of Augustus the Strong, elector of Saxony and king of Poland. In the year of his death in 1733, Augustus had assembled more than 24.000 objects in his palaces in Dresden. Over the years, many of these pieces have disappeared, but a number of 8.500 objects still remain. These are now part of the collection of the Zwinger in Dresden. Due to the good care of Augustus’ secretaries, every acquisition was noted and numbered. These numbers were then applied on the porcelain. Because so many inventory lists as well as porcelain survived, there is a unique documentation of this early 18th-century collection. Christiaan Jörg, former chairman of the Asian Art Society, is the leader of an international project group that aims to catalogue and hopefully digitalise the complete collection of Augustus the Strong. In the New Year’s lecture Jörg will tell us about the project and its status quo. Also, he will disclose the results of new research, that shows the essential role of Dutch dealers in the accumulation of this collection.